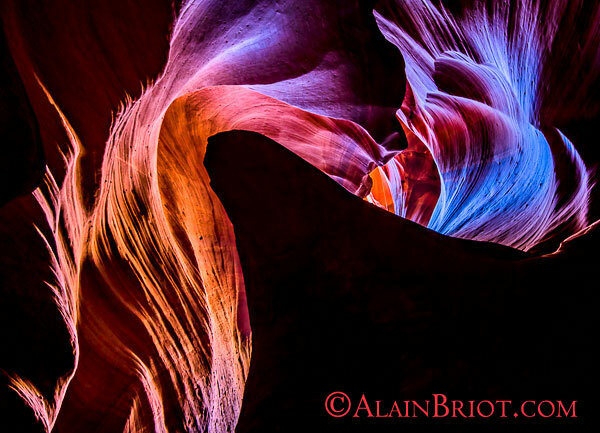 This page features notes, remarks and photographs about the path that led me to expressing my photographic vision. These entries are organised in a non-chronologial order. 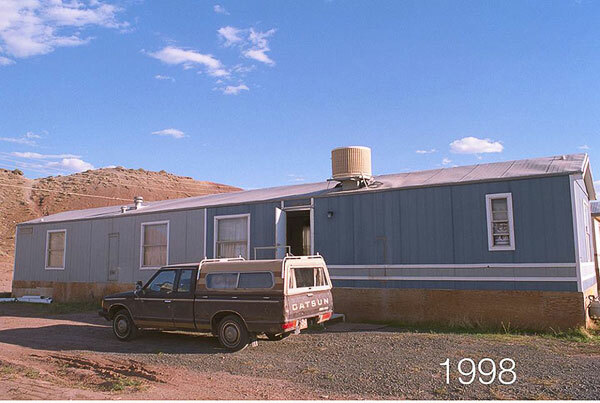 This is where Natalie and I lived and the truck we drove when we started our photography business on the Navajo Reservation in Chinle, Canyon de Chelly, in 1998. We call it 'la boheme' in French. I will have more posts about our story and how my vision developed over the years. Declare your independence from other people 's vision! Express yourself and create photographs that show what you feel. In July 1995 I declared my independence from Academia and from being the instrument of someone else's vision. I never looked back. Happy 4th of July! This is the house we lived in, in Hancock, Michigan, in the Keeweenaw Peninsula. We lived there from 1990 to 1993, while I was working on my PhD. We left in 93 when I decided to seek independence from Academia and start my photography business (see my earlier post from July 4th below). We took the pick up truck you see here when we moved to Canyon de Chelly. 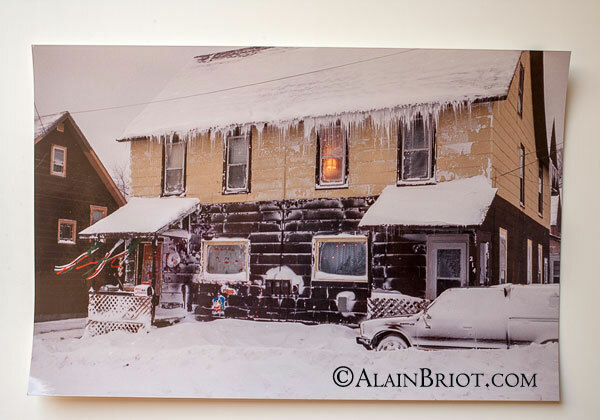 As you can see the house had poor insulation and the icicles went from the roof all the way to the ground at times! Our landlord didn't care much either! My office is the 2nd floor window, the one with the light on. 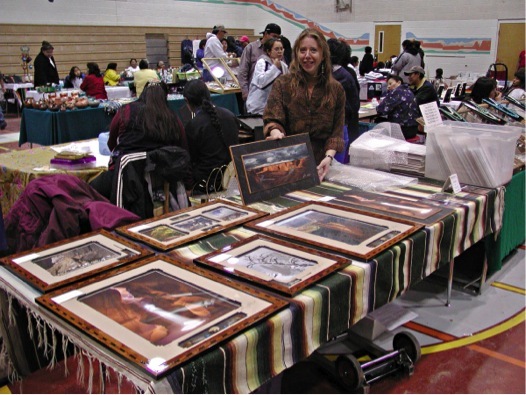 This photograph shows Natalie and I selling my photographic artwork at a Christmas Bazaar in Chinle, Arizona in 1997. We did a lot of what is called 'bazaars' when we lived in Navajoland. We set up on tables in school cafeterias, gymnasiums, office buildings, hospitals, wherever these events took place. Setup fee from anywhere from $5 to $30 depending on the 'caliber' of the event. We all start somewhere and there is no silver bullet. This is one of the places where we started. It wasn't glamorous but it allowed us to make a living doing what we loved. We moved on from there. We could only go upwards! Under the table, you can see the dolly we used to ferry my work in boxes and plastic tubs from my truck to the bazaars. It was affordable and you did not need to make reservations or apply for a show booth or fill in an application form complete with booth photos, artwork photos, check, copy of your tax license and DNA sample. This series of short entries is published in the context of my new Personal Vision Mastery Workshop on DVD. Expressing my personal vision changed my life and my photography. It can change yours as well. Find out how and why on the Personal Vision Mastery Workshop on DVD page.